Reliance Jio Infocomm Limited (RJIL) has announced that within 25 months from the commencement of services, its subscriber base has swelled to 252.3 million. 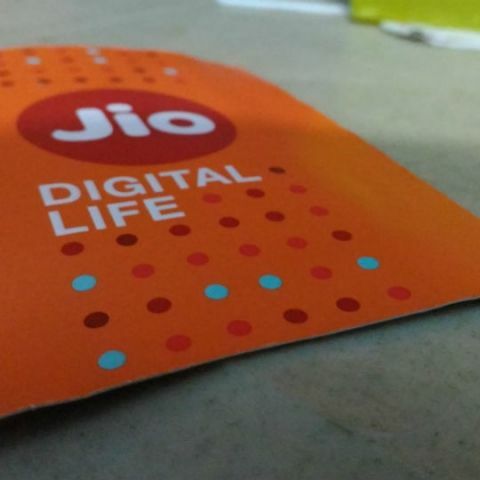 Thanks to the accelerated its growth in the subscriber base, Reliance Jio now has a total of 252.3 million people using its services, Reliance Jio Infocomm Limited (RJIL) said in its 2018-2019 second quarter earnmings, adding that the company has achieved this feat in only 25 months since the commencement of the services. The telecom company also announced that in the last quarter, data consumption touched a record 771 crore GB with each user averaging 11GB data usage per month. The company announced that Jio added 37 million subscribers in the second quarter -- against 28.7 million in the previous quarter -- which is the highest in any quarter since the launch of commercial services. The average voice consumption in the quarter was 761 minutes per user per month and the video consumption drove most of the usage, increasing to 410 crore hours per month on the network. The average video consumption per subscriber per month was 17.5 hours. When it comes to the tariffs, Jio said that its postpaid plan with attractive international calling tariffs and roaming plans continued to see good customer traction and JioPhone Monsoon Hungama offer (by Reliance Retail) with exchange policy and lower upfront commitment has played a key role in accelerating the customer uptake. “We, at Jio, are glad with our progress towards our mission with more than 250 million subscribers on our network within 25 months of commencement of services. We have enabled our customers to adopt the digital life, with record consumption of data and use of digital services. Our next generation FTTH and enterprise services are now being made available to our customers to further enhance our value proposition to our customers. We are making rapid progress on the growth of our digital platforms, across new commerce, media and entertainment, agriculture, education, healthcare and financial services, which will further enhance the quality of life and productivity of the people of India,” Mukesh D. Ambani, Chairman and Managing Director, Reliance Industries Limited, said in a statement. RJIL announced further deepening of all-IP 4G LTE network in existing areas along with coverage expansion to 99 percent of population, expected to be completed in the Financial Year 19. Jio is claimed to be the only network to deploy tri-band (800MHz/ 1800MHz/ 2300MHz) pan-India 4G and claims to be the world’s largest mobile data consumption network which is 5G ready. Jio says that it has been ranked fastest network over last 20 months by TRAI’s MySpeed Analytics app (average download speed of 20.6 Mbps during September 2018, as per TRAI) and lowest call drop rate at 0.14 percent. Reliance Jio posted a standalone net profit of Rs 681 crore in the quarter. In the previous quarter, the company had recorded a net profit of Rs 612 crore and had posted a net loss of Rs 271 crore in the same quarter a year ago. The standalone revenue from operations in the second quarter of this fiscal year ending March 2019 stood at Rs 9,240 crore, a massive year-on-year jump of 50.3 percent, RJIL said. Reliance Industries Limited, parent of the RJIL, also announced strategic investments in and partnership with Den Networks Limited and Hathway Cable and Datacom Limited. Jio has said it has made a primary investment of Rs 2,045 crore through a preferential issue under SEBI regulations and secondary purchase of Rs 245 crore from the existing promoters for a 66 percent stake in Den Networks Limited. In the case of Hathway Cable and Datacom Limited, the company has made primary investment of Rs 2,940 crore through a preferential issue under SEBI regulations for a 51.3 percent stake. The investment could provide a boost to company’s JioGigaFiber services for Home broadband, Entertainment, Smart Home Solutions, Wireline and Enterprise that was announced during 41st AGM of RIL earlier this year. Customers over 1,100 cities have evinced strong interest to avail JioGigaFiber services since the start of registrations on August 15. Homes are being connected on priority based on the number of requests received in the area, the company announced. Meanwhile, Reliance India Limited (RIL) also announced that it has acquired a 12.7 percent shareholding in US-based personal rapid transit company SkyTran Inc, which develops high-end transportation systems. SkyTran has eight approved patents and over 40 patents pending approval, globally, including in India.